Any unauthorized use constitutes a breach of copyright. If you wish to use a photo for any reason please contact me. I booked the railway tickets impulsively while booking tickets for my friends. I could only manage to confirm the return tickets (online) in Satabdi express in Ac chair car on 28th January. Then I called up a travel agent who managed to get me the tickets from Howrah to New Jalpaiguri (NJP) in Darjeeling mail on 23rd January. 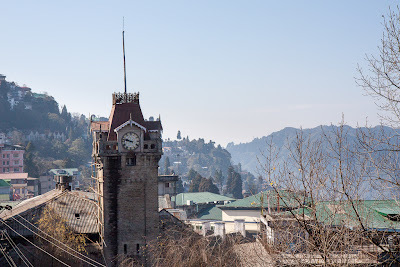 Darjeeling is a town in the Indian state of West Bengal. A popular tourist destination, it is located in the Mahabharat Range or Lesser Himalaya at an average elevation of 6,710 ft (2,050 m). 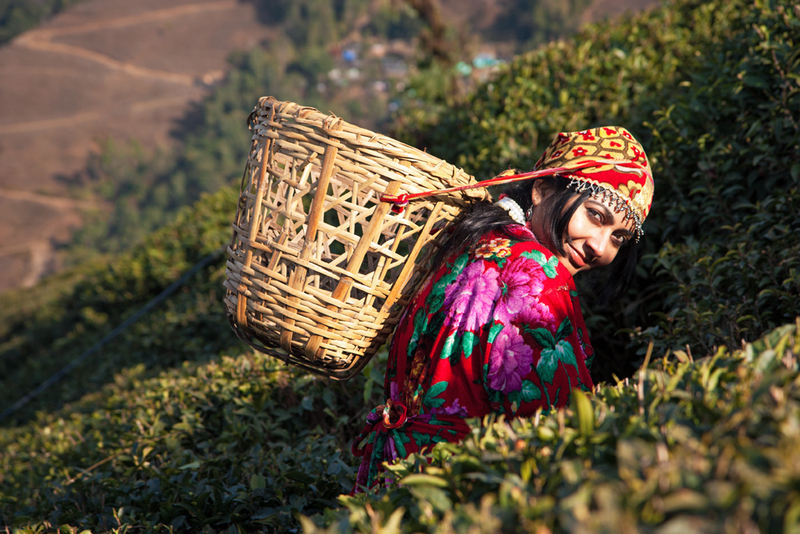 It is noted for its tea industry and the Darjeeling Himalayan Railway, a UNESCO World Heritage Site. On 23rd January 2013 my wife and I hired a cab to reach Sealdah station to avail our train which was scheduled at 10.05PM. As it was an overnight train we already had our dinner at home and bought a few snacks from the platform shop and luckily the train was on time and hence we started our journey. On 24th January 2013 we reached NJP around 8.35AM (35mins late as per schedule) and walked out of the station with our luggage and got mobbed by the cab drivers. They were quoting different rates for share taxi from NJP to Darjeeling which was around Rs.200, Rs.250 etc and hence we decided to go to SNT( Sikkim Nationalised Transport) bus stand which is just a few kilometers away. We took an auto from NJP (just outside the station) which was only Rs 15 per head and went to SNT. In SNT we had our breakfast at SNT canteen and arranged our share taxi at Rs.130 per head and headed towards Darjeeling. 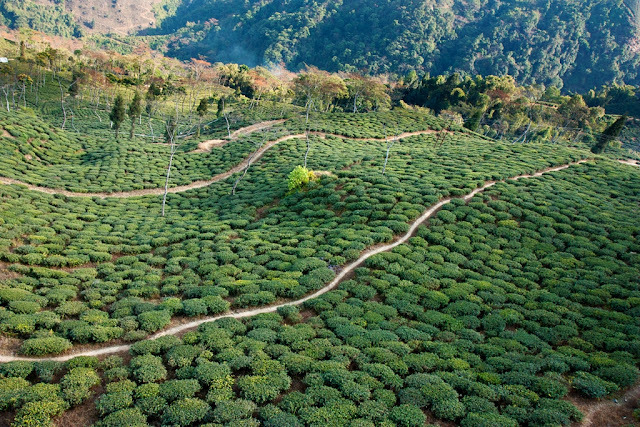 The road was through tea gardens and military cantonments and was picturesque. 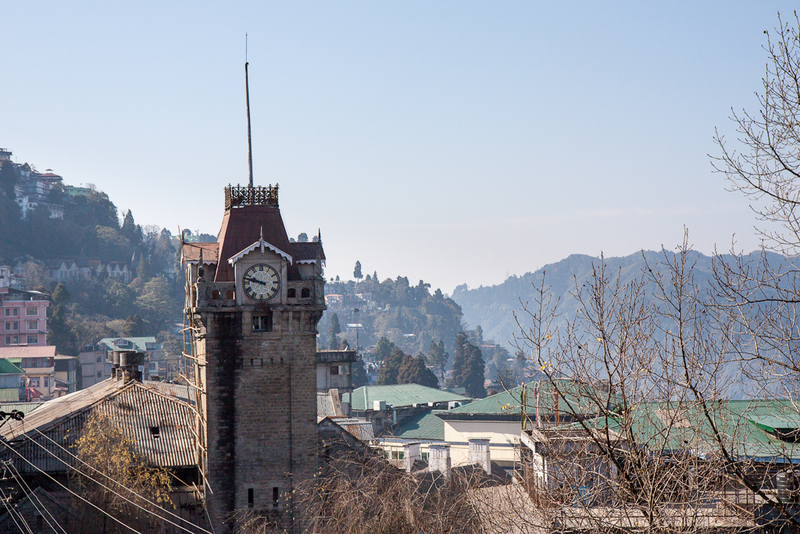 It took us around 3 hrs and it was around 12.50PM when we reached Darjeeling. The car was supposed to drop us at the Darjeeling railway station but we requested him to take us upto Gandhi road stand(which is higher up) and he agreed at no extra cost, he was a kind man. After a bit of looking around we put up at hotel Capital just near the Clock tower and beside hotel Dekeling. It was off season and we got a Kanchenjunga facing big room on the 3rd floor at Rs.900 per night. We unpacked; wasted no time and were out on the streets. 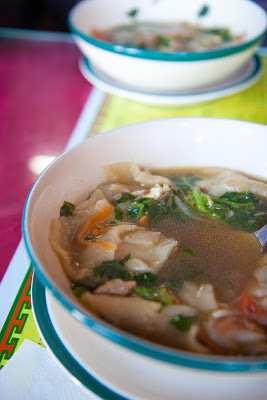 We had our lunch in Kungas (a family run tibetan restaurant) which was fabulous and highly recommended. It cost us Rs.250 for two. Kungas is situated just beside the Capital hotel. After lunch we started walking towards the famous Darjeeling Mall. It was pretty chilly and felt so good to soak in the warm sunlight in the open Mall area. After spending some time in the Mall and watching kids playing and riding horses we started walking towards the Saint Andrews Church. The road that leads towards the church is at the north end of the Mall and on the left hand side. It was nothing special. We decided to walk along Bhanu sarani upto the West Bengal Govt. tourist lodge. It was a dead end and hence we again walked back to the Mall. Then we took the road on the right hand side of the north end of Mall and walked towards the observatory hill and Mahakal temple. There a few view points along the length of the road. Walking past the view points we reached a point where there was a 3 way crossing. Towards the right is the way to Shrubbery park (also known as Nightingale park) and the way to the left leads back to the Mall. It was near sunset and we didn't have much time left and so we decided to visit the Shrubbery park and get back. The ticket was Rs.10 for each. During the tourist season there is an evening traditional dance show in this park which was cancelled then due to construction work. It was getting dark and we quickly got in and took a few snaps and came back. It was already dark when we got back from the Shrubbery park to the Mall area. The road to the Mall was quite badly lit which is not expected in a tourist area. 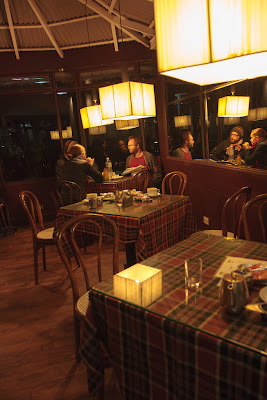 We then decided to have our evening snacks at the famous restaurant Glenarys. My wife had a cup of Assam tea and I had a fruit cake. It was so cosy and warm and I loved the dimly lit ambiance. There was also free wifi inside. 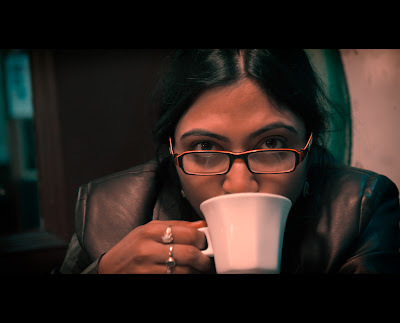 On 25th January 2013 I woke up at the sound of alarm. It was 4.00AM and the water from the tap felt ice cold. I managed to freshen up and got myself well packed in layers of warm clothing :) for the Tiger hill sunrise trip and then I woke up my wife. I called up our cab driver and he reached our hotel by 4.30AM and we were on our way, praying to god that the sky remains clear. Though it was off season but still there were many cars at the entrance. We bought the Rs.30 per head tickets as the Rs.40 tickets were sold out even at that early hours. It was chilling cold in Tiger hill and we came to know that there was snow fall the week before. We went up to the specified floor of the watch tower and waited eagerly for the nature god to start her magic. There were rows of chairs and sliding glass windows and also a bathroom. Coffee and travel-CDs were on sale. We luckily got 2 front row seats, as there is no seat number specified in the tickets so anyone can take any seat or may stand. It was still pitch black and the wait seemed longer than we expected. Few people didn't care the cold and were standing outside the watch tower in the open. All Though I knew the sun rises on the right side and the mighty Kanchenjunga shows up on the left I wasn't sure where exactly it will shine. 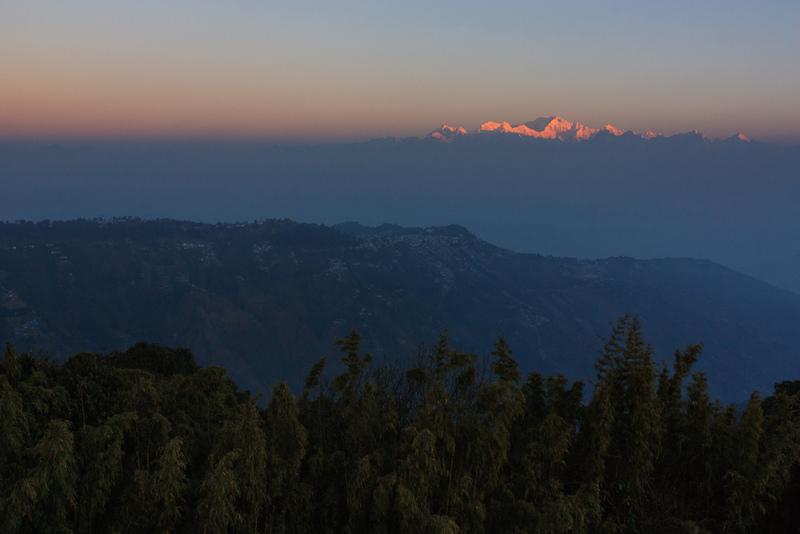 I was anticipating a specific area on the left where I thought the Kanchenjunga will show up. After some time the sky started taking orange tone on the east the crowd rushed towards the right side windows and I didn't care to move as I knew the real show will start on the left soon. It was only a matter of a few minutes when making my geographical ideas badly ashamed an area at-least 30 degrees higher than my anticipated zone on the left started taking a golden hue. Wowwww, there is was, indescribable in words, the most beautiful scene of nature that I have seen till that day was taking shape at a height I couldn't even imagine. I am sorry I am not a poet (I only write prescriptions). For a few moment I forgot the cold and I cant remember when I took off my gloves and started shooting. Slowly it started changing hues and I tried but failed to capture its beauty through my humble camera and meager photography sense. After sunrise we came out in the open and I started taking a few pictures but never could satisfy my greed. People were all busy taking photographs with Kanchenjunga in the background and their family, friends or beloved as the main subject. A young woman fell sick due to the cold which was not unbearable at that moment according to me. After a while we came down and headed towards Ghoom railway station as per out itinerary. 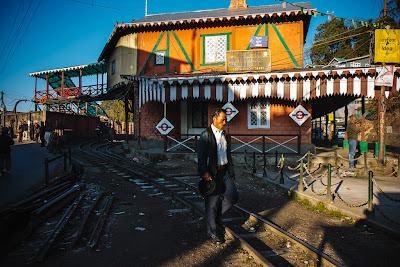 Ghoom railway station of the Darjeeling Himalayan Railway is the highest railway station in India. It is situated at an altitude of 2,258 metres (7,407 ft). Its a small station but a really cute one to be precise. Then we visited Ghoom monastery and finally came to the famous Batasia loop. The tourist cabs took us to the Ghoom monastery (Samten Choling Monastery) which is just after the railway station and not the Old Ghoom Monastery (Yiga Choeling Monastery) which is the original one and much more beautiful as I came to know later. The Old Ghoom monastery is located on the monastery road just in front of the Sterling resort. So if you are planning to visit the original Ghoom Monastery, be specific and mention Old Ghoom Monastery. 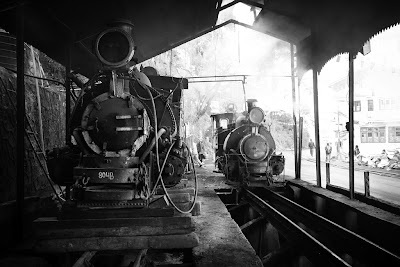 The Batasia Loop is a spiral railway created to lower the gradient of ascent of the Darjeeling Himalayan Railway in Darjeeling district of West Bengal, India. At this point, the track spirals around over itself through a tunnel and over a hilltop. 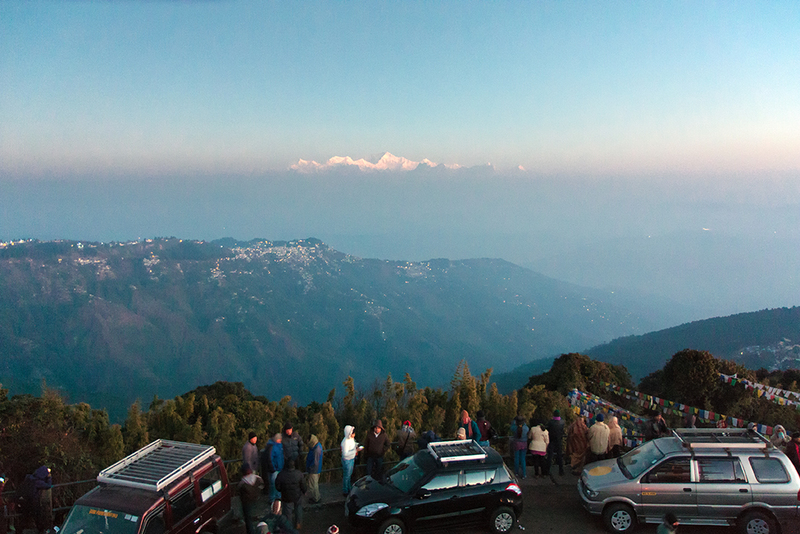 It is 5 km from Darjeeling, below Ghoom. There is also a memorial to the Gorkha soldiers of the Indian Army who sacrificed their lives after the Indian Independence in 1947. 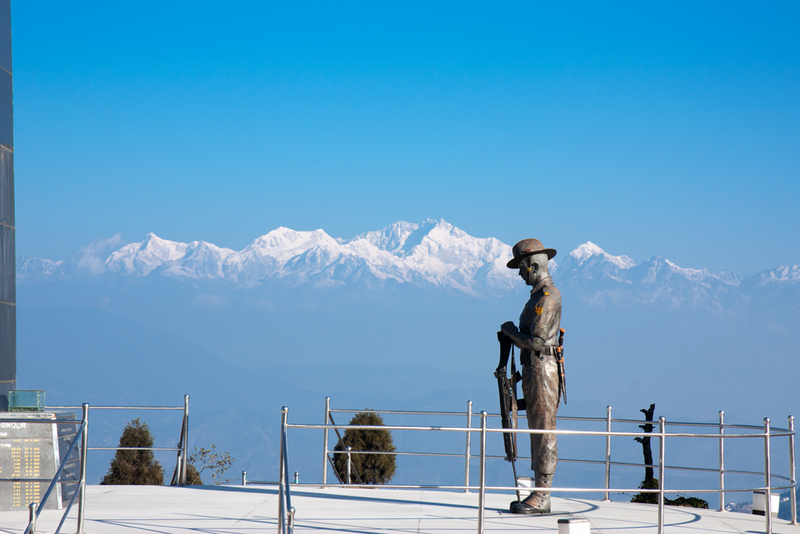 From the Batasia Loop one can get a panoramic view of Darjeeling town with the Kanchenjunga and other snowy mountains in the back-drop. There we hired traditional clothes with tea plucking basket at Rs 30 and clicked a few photos and then headed back to Darjeeling for our breakfast. We took our bath then had our breakfast quickly (again Kungas) and again we were out on the roads and now our cab headed towards the Japanese Peace Pagoda. It is one of the Peace Pagodas designed to provide a focus for people of all races and creeds to help unite them in their search for world peace. It was a quiet place, may be the quietest place in Darjeeling. 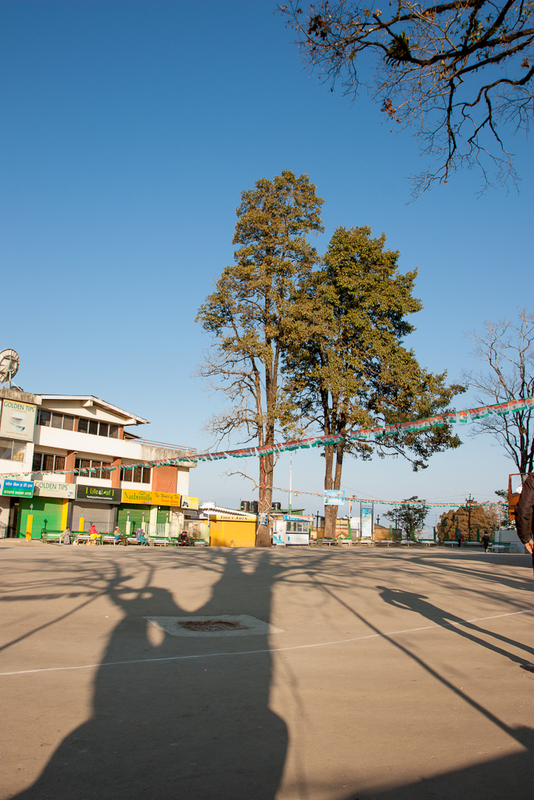 There were tall trees surrounding the pagoda and very well maintained. Overall a picturesque location. There is no entry fee. On our way back and while heading towards the Rangeet valley ropeway which is at the northern most point of the town we had to cross the very beautiful Darjeeling railway station where I stopped the cab to buy tickets for the next day joyride in the world famous heritage trains driven by steam engines. 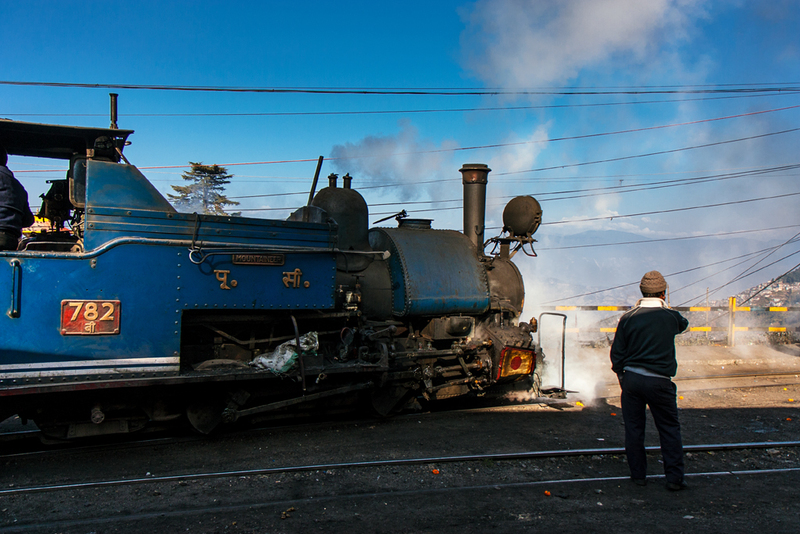 The route is from Darjeeling to Ghoom and the train stops for 10 minutes at Batasia loop. Since it was not peak tourist season getting the tickets were hassle free. It was Rs305 per head. I took the 4pm train tickets so that I get good light for photography. Then we reached the ropeway. 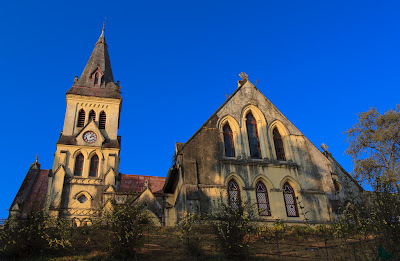 It is the North point of Darjeeling just beside the famous St. Joseph's School. One of the best ways to experience the panoramic views that Darjeeling is so famous for, is by taking a ride on this ropeway. You will need to board the cable car from Singamari which is some 3km (i.e. 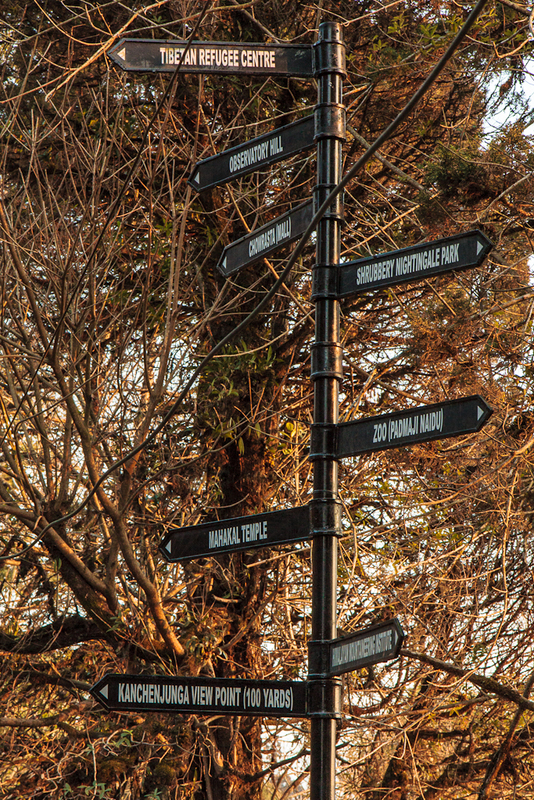 1.8 miles) away from Darjeeling Chowk Bazaar. 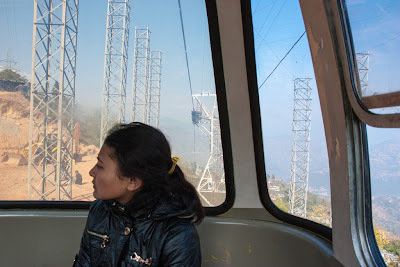 As you ride the cable car, in about 45 minutes you will travel from an altitude of about 7,000 ft. (or 2134m) down to 800 ft. (or 244m) where the last station Singla Bazar is located. The ticket is Rs. 150 per head. It was a beautiful ride over the tea gardens which is lush green and the snake like roads can be any photographers delight.The only minus point is that the road to reach the ropeway station is steep and very ill maintained. After finishing the ride we had our lunch at a local restaurant and then drove to the Rangeet valley tea garden. There were a few road side shacks selling tea and asking to come to their shops but we escaped them and entered the slopes of the tea garden where again we hired colorful traditional clothes to click photos. From there we rushed to the Tenzing rock and Gombu which were side by side on the opposite sides of the road. 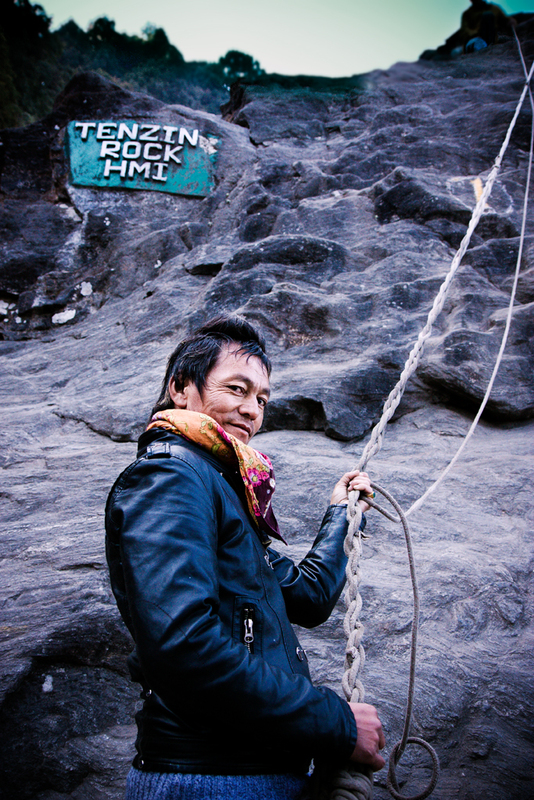 Nothing special, only there were two rocks where visitors are trying their hands on rock climbing with the help of local instructors. From there we drove to the place which was eagerly waiting for, the Tibetan refugee self help centre. I knew this place will provide me with loads of photographic opportunities and yes it did. The best place to be for a photographer. 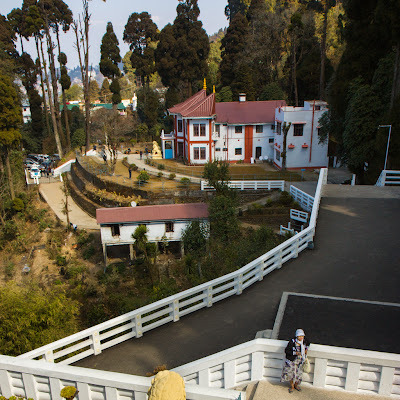 Tibetan Refugee Self Help Centre in Darjeeling, India is a rehabilitation Centre for the Tibetan refugees in the Darjeeling Himalayan hill region. It was established in 1 October 1959, after they followed Dalai Lama and escaped from Tibet. The production of Tibetan handicraft is the centre's main activity. 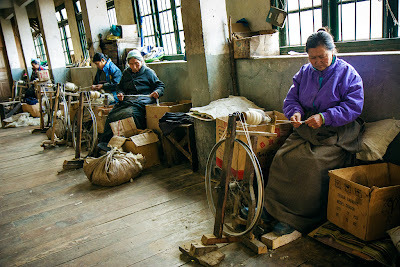 We spent quality time there chatting with Tibetan people, kids, watching their way of weaving clothes, carpets, handicrafts. Its a must visit. 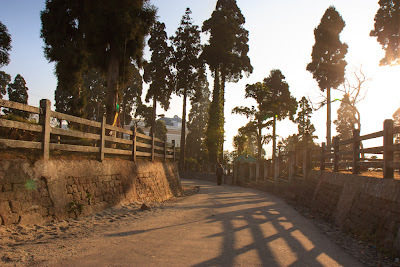 Then we came to the Darjeeling zoo and the Himalayan Mountaineering Institute is situated inside the zoo. We bought two tickets for both and also two camera passes. In total it came to Rs. 100. It was almost closing time for the zoo so we rushed in saw a few animals, mainly tigers and deer and red panda and had a bummer when we reached the Himalayan Mountaineering Institute which is situated inside the zoo. Photography is not allowed inside. Nobody told us this when we were buying the tickets. Hence we came back frustrated with the authority. There were a few shops outside the zoo and we bought a Tibetan cap from there and then drove back to the main center of Darjeeling and asked our driver to drop us at the Chowk bazar area which is a big market area. If you want to experience the place where most of the locals in Darjeeling come for shopping and marketing, then try out the lower market area known as the Chowk Bazaar. 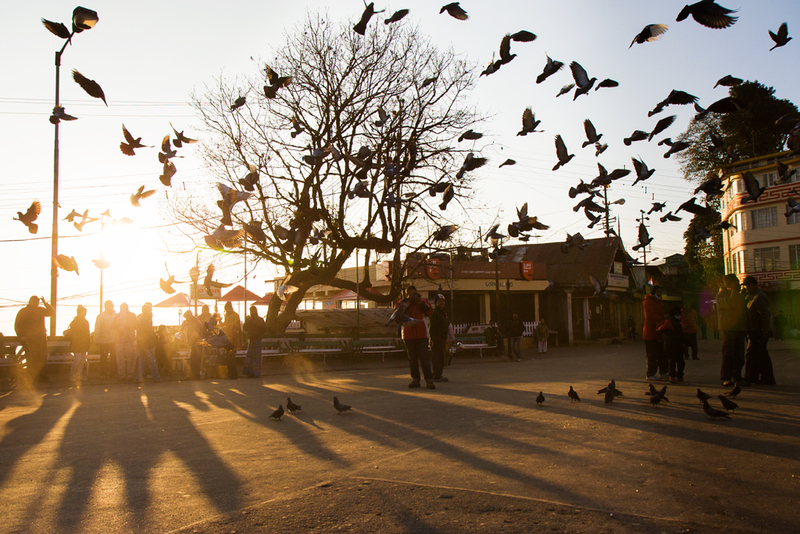 Chowk means a junction and Bazaar is a market in local language. This place is always jam packed with shoppers and vendors. Being on the main Hill Cart Road where the main taxi, jeep and bus stands are also located, the place is also extremely busy with passing motor traffic. Also known as the Lower Bazaar, Chowk Bazaar is a flat land area measuring some three to four blocks of a city and located at a lower level. There are roads that go down from the Chowrasta Mall towards the market area. If you walk down, it'll take some 15 minutes. After strolling for quite some time and wasting time by bargaining we came up to the Mall area to have snacks at the famous Keventers. We had chicken sausages and sandwiches and tea. We felt the place is quite over hyped compared to the quality of food. It was getting pretty chilling and the town sleeps early so after walking for some time we bought a few cakes from Glenary's and bought water and then came back to our hotel where we ordered vegetarian dinner and closed the day. On 26th January 2013 we woke up early in the morning and decided to spend the whole morning by walking around the Darjeeling town. 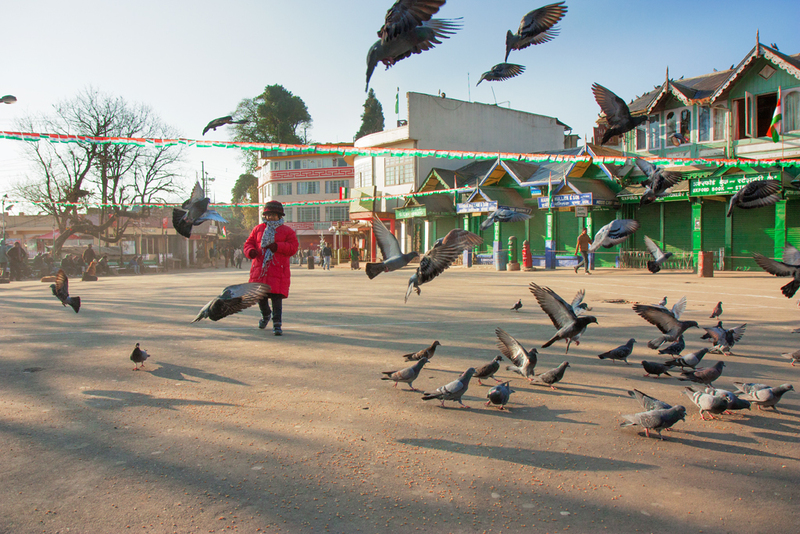 We dressed up and went to the Mall which was then bathing in the warm golden sun, kids were playing with the pigeons and since it was our Republic day (in India) soldiers were marching along with the military band playing. They were preparing for the hoisting of our national tricolor flag. We had our morning tea from a vendor at the Mall then walked to the Mahakal temple which can be reached by walking along the road on the right hand side of the Mall towards its north end. It was a little high in the hills and requires to climb a lot of steps but gifts you with a beautiful view of the town. The Mahakal temple atop the Observatory Hill is a most revered place for the locals and you will be surprised to find a Hindu priest sharing a common altar with a Buddhist monk. Well, there are a few monkeys but they didn't bother us. 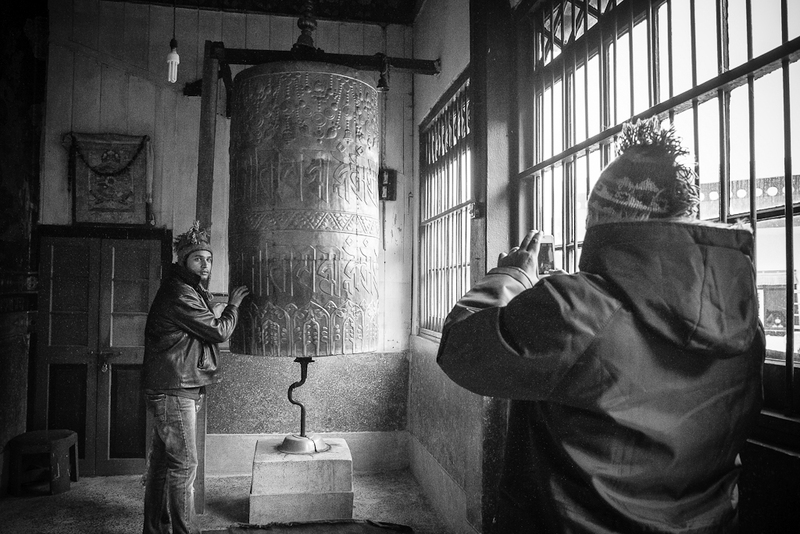 We spent some time among the prayer flags and temple bells and then came down to have our breakfast at the Keventers. Once again we tried our luck with the famous chocolate milk shake and sandwiches and again it we found it over rated according to our taste. Hence we decided not to visit again. 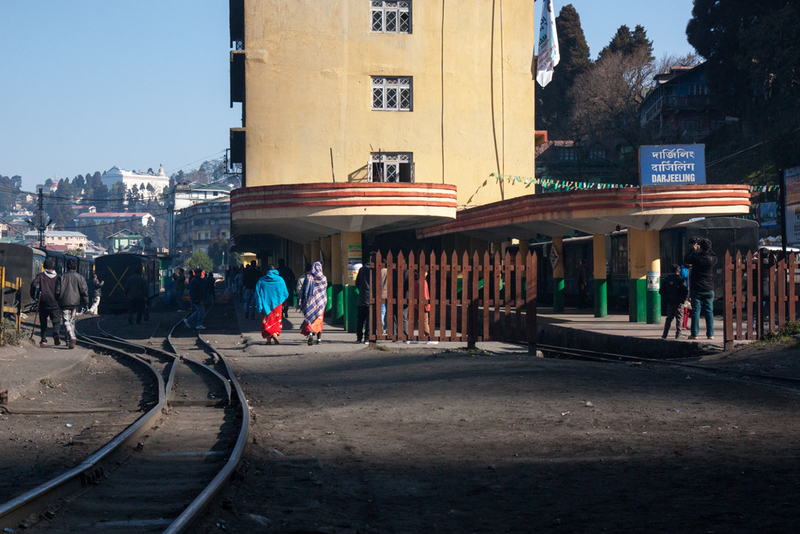 After breakfast we went the the Darjeeling railway station and spent some time there shooting the local people bathing in the morning sun , drinking tea, chatting with each other. It was a relaxed environment. I took some pictures in the railway shed where the steam engines are kept and repaired. That day after lunch at Kungas we decided to walk towards the southern part of Darjeeling up to the St. Paul's School Darjeeling. It was a long long walk ... longer than we expected but the view from the road was nice. At last after using up a lot of calories we reached this famous school of India which was also the shooting spot of a famous Shahrukh Khan(Bolywood actor) movie. It was beautiful and has a huge playground. Then it was winter vacation and so there were no students. We chatted with the care taker and he agreed to show us the whole school compound which is generally not allowed for outsiders. He also showed us the spots where the movie shooting took place. We didn't spend much time there and returned to the Mall area as we had the joyride train to catch at 4pm. On the right side of the Mall a small road(the CR Das road) goes down to the Step Aside which is barely 5 minutes downhill walk from the Chowrasta Mall. Step Aside is the house where the great patriot and freedom fighter from Bengal Chittaranjan Das lived the last one month of his life. He passed away in this house on June 16, 1925. The board outside mentions the date. The first floor where he lived has been converted into a museum preserving his personal belongings.We made a quick and brief visit and found it was closed that day. 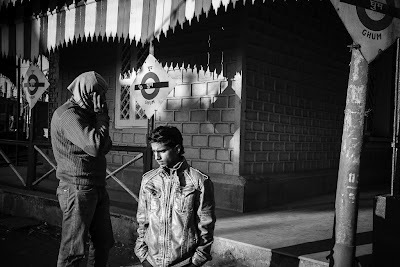 We reached the Darjeeling railway station at 3.45pm and to our utter disgust we found that the train they have provided for the joyride is driven by a diesel engine and not the steam engine that it was supposed to be. We paid so much extra for that experience and we were actually cheated. There is a regular morning toy train from Darjeeling to Kurseong, which too goes via Batasia and Ghoom and at a very low price. You can get off at Ghoom and take a shared jeep back to Darjeeling. This high priced joyride is the only thing I did regret to do in Darjeeling. We managed to find our seats and the train started for Ghoom. The ceiling of the train was transparent and the view was very nice while the train was crawling through the city . Remember there is no toilet on this train. It stopped for 10 minutes at Batasia loop and then reached Ghoom. 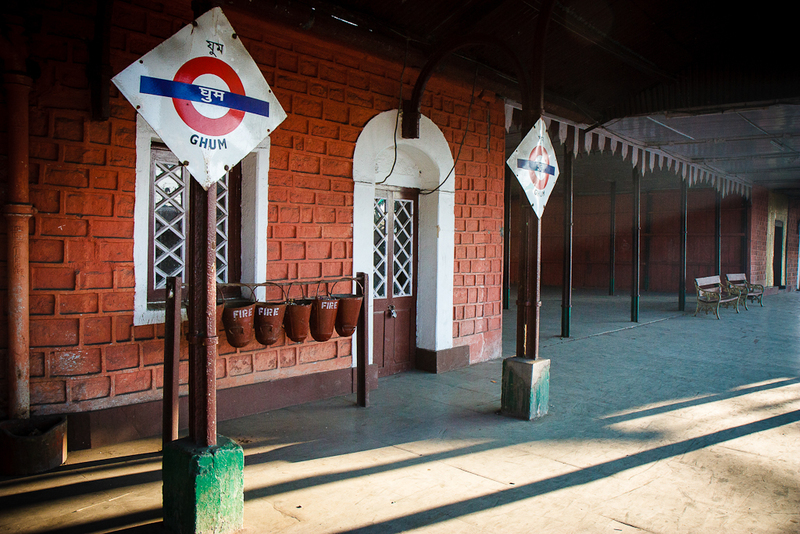 We went out and clicked a few pictures at the Ghoom railway museum which was nothing exciting. 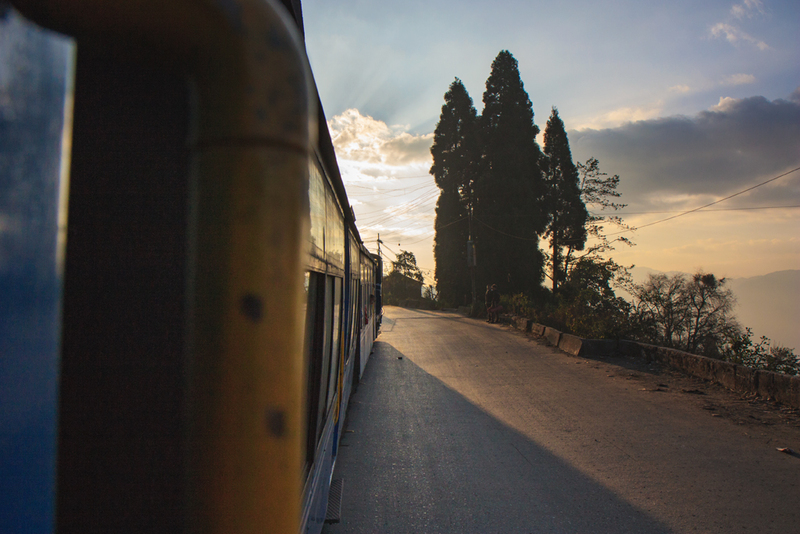 Then the train headed back for Darjeeling and we reached Darjeeling at 6pm. Well it was kind of bothering us that we were cheated by the railways and hence to lift up the mood we decided to have continental dinner at Glenarys. 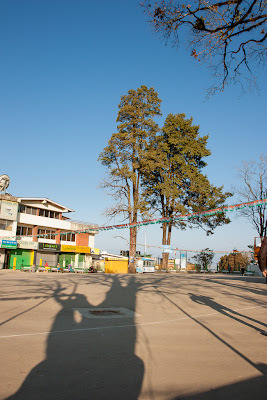 As Darjeeling sleeps early we headed towards Glenarys after trying bargaining at a few shops on the way. Well the food was great and the interior of the restaurant was top class. They have maintained an old time heritage look with modern amenities. After dinner we returned to our hotel. return. so, we didn't want to waste a minute. We decided to have breakfast at Frank Ross cafe which is on the left on the way to Mall. We had Bombay grilled sandwich and orange juice which they are famous for and it was awesome ... highly recommended. Then we made some quick shopping and returned to our hotel as we had to pack and freshen up and leave early as there were news of a meeting of local political party. The shared taxi stand was just below our hotel to the left and I had no trouble to book our front seats which were Rs. 170 each (straight up to New Jalpaiguri railway station). 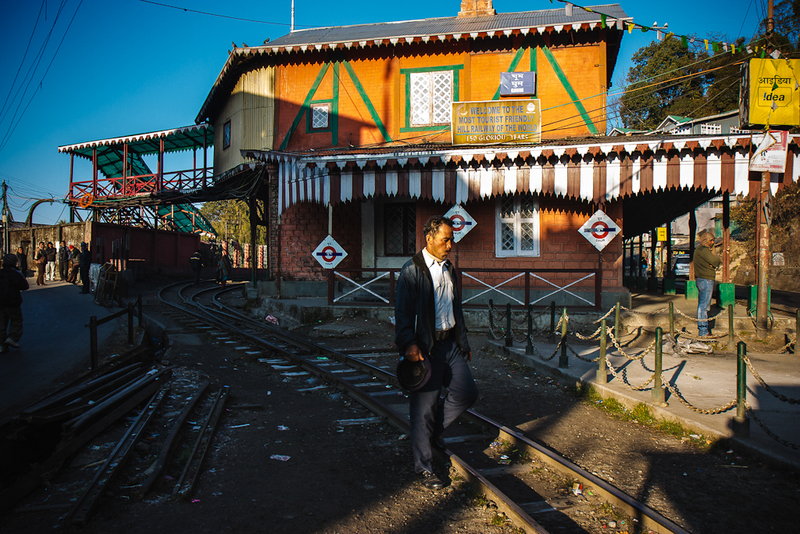 We went for lunch at the Kungas for the last time and then boarded the taxi to New Jalpaiguri railway station. We reached in time and booked the retiring room as our train was early in the morning, the next day (Satabdi express AC chair car). We had a lot of time then and nothing to do so we took an auto rickshaw (tuktuk) which was shared and Rs. 10 per head and went to the famous Hong Kong market. It was huge and we full of varieties of shops. We spent the evening there and then came back to the railway station, had our dinner at the Food Plaza and then went to sleep early as we had a train to catch at the early hours the next morning. On 28th January 2013 we got up early, freshened up and came out to the platform and found our train to be on time. We boarded the train and hence ended our happy journey. 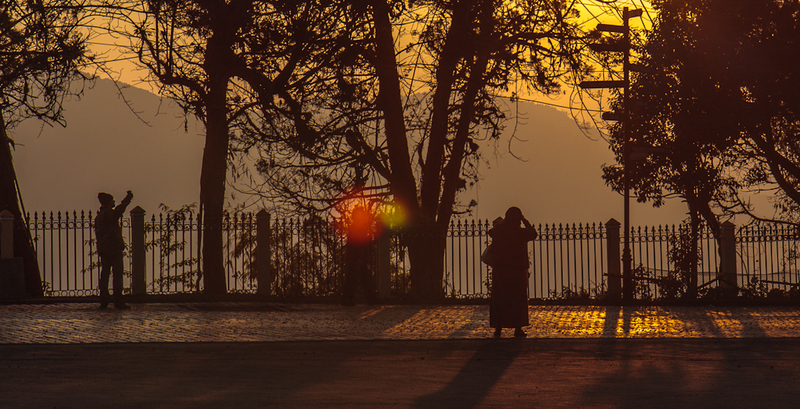 "In my honest opinion anyone should visit Darjeeling for two good reasons. 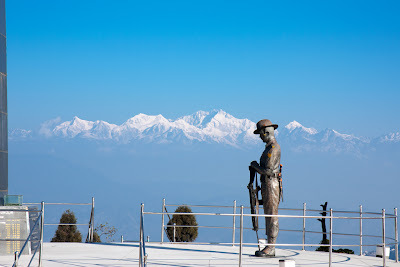 Number one is the sunrise view of Kanchenjunga from Tiger hill and number two is the mouth watering food in their restaurants." 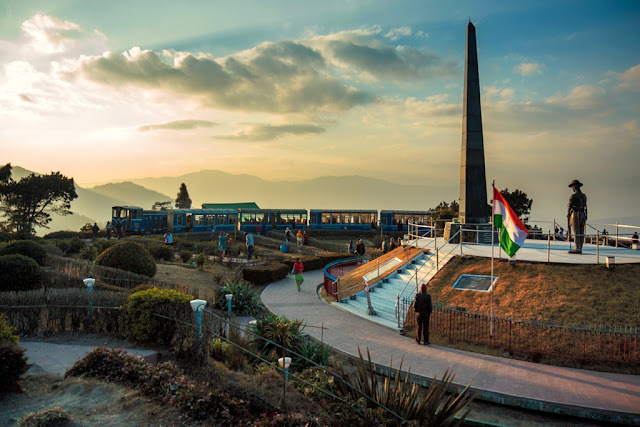 I read your information.Such a great information about Darjeeling.get Trip to Sikkim and Trip to Darjeelingin lowest price.Darjeeling is a great place in india.